Do you want to know how to get to the bukchon hanok village (anguk station)? There are many ways you can get to bukchon hanok village (anguk station) such as public transportation (bus, subway / metro), taxi and Blacklink limo/transfer/shuttle service. Don't sweat outside waiting for other transportation with your luggage. Make a round trip reservation with Blacklink as you plan for your trip. It is easy, convenient and available 24/7. Then, the assigned Blacklink driver will greet you at the arrival and will drive you to the bukchon hanok village (anguk station). You can use Blacklink for not only hotel but also Gimpo Airport (GMP), Myeongdong, Jongno-gu, guesthouse, resort, airbnb, lodging and anywhere you want to go in Korea. Check out Blacklink customer review posted below. Bukchon Hanok Village is a Korean traditional village in Seoul with a long history located between Gyeongbok Palace, Changdeok Palace and Jongmyo Royal Shrine. The traditional village is composed of lots of alleys, hanok and is preserved to show a 600-year-old urban environment. Now it is used as a traditional culture center and hanok restaurant, allowing visitors to experience the atmosphere of the Joseon Dynasty. 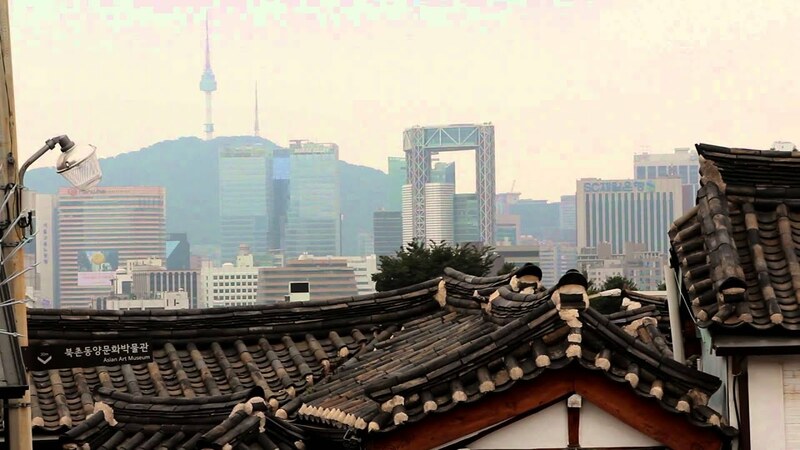 A poll of nearly 2,000 foreign visitors, conducted by the Seoul Metropolitan Government in November 2011, stated that exploring the narrow streets of Bukchon was their fourth favorite activity in Seoul. According to data by the Bukchon Traditional Culture Center 30,000 people visited the area in 2007. However, after the Village was featured in television programmes, such as 1 Night 2 Days and Personal Taste, the number rose to 318,000 in 2010. In 2012 the figure is expected to double to more than 600,000.